Do you provide a special offer for your spring new fashion collection? If you do, what you have done to promote it? And when you are trapped in coming up with effective ways, this floral sales flyer template may give you a hand. 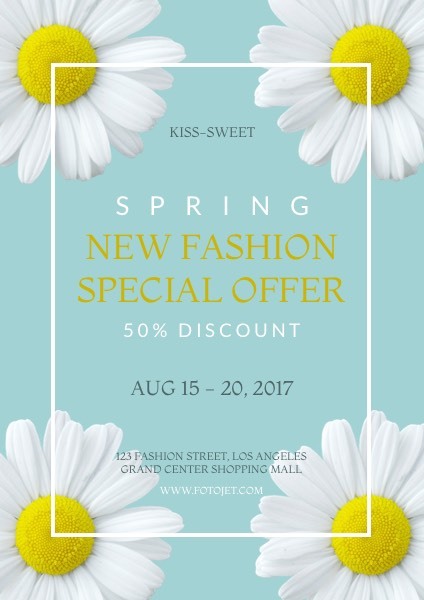 Its fresh design, such as the light background color and feverfew images, is very suitable for making spring sale flyers. What you need to do is just change the default text into your own information. Of course, more adjustments are also available for the template is freely customizable.